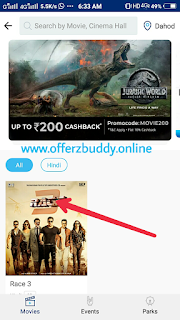 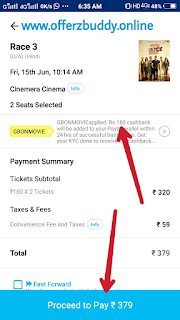 - You will use "GBONMOVIE" Promo Code to Get Cashback. - Code applied on Minimum 2 Ticket Booking. - Valid for New User. 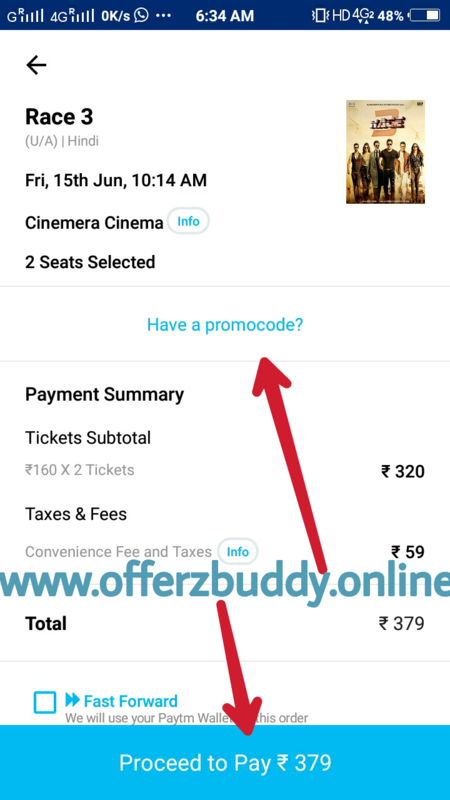 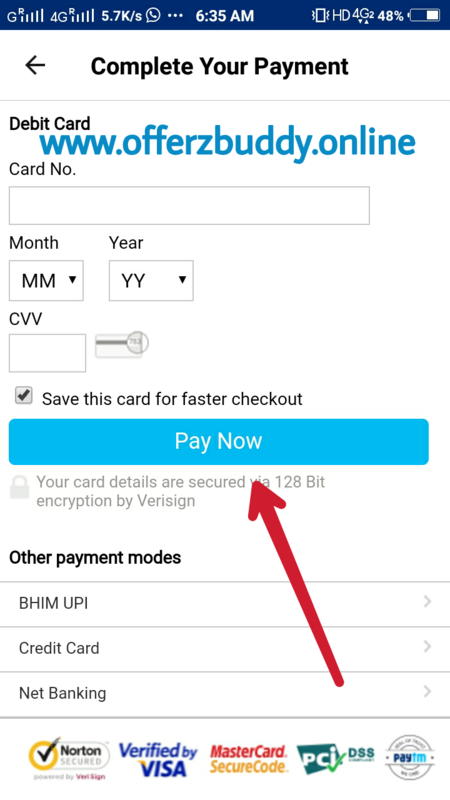 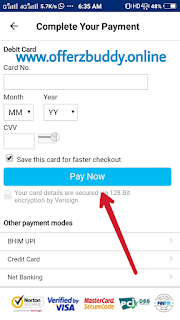 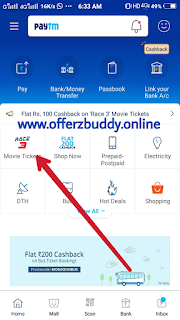 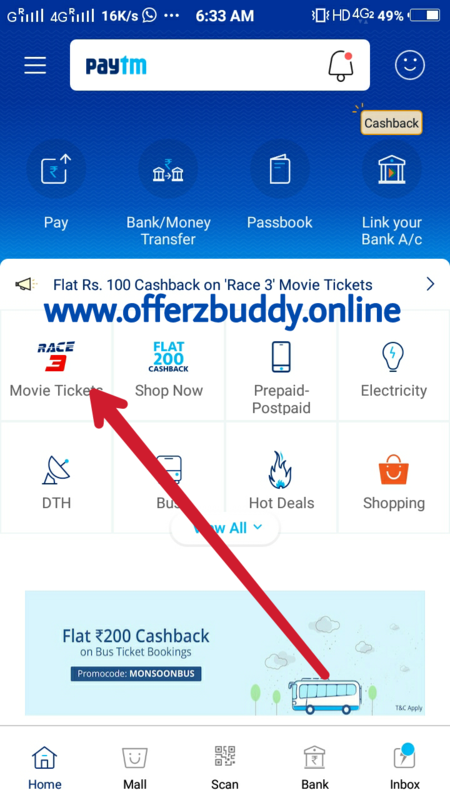 Here show a step by step with Screenshot of Movie Ticket Booking Process on Paytm and Where apply Promocode show in this below images. 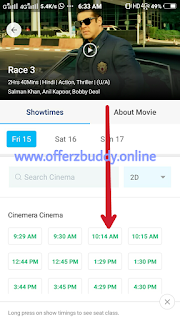 2- Now Select Location And Select Movie. 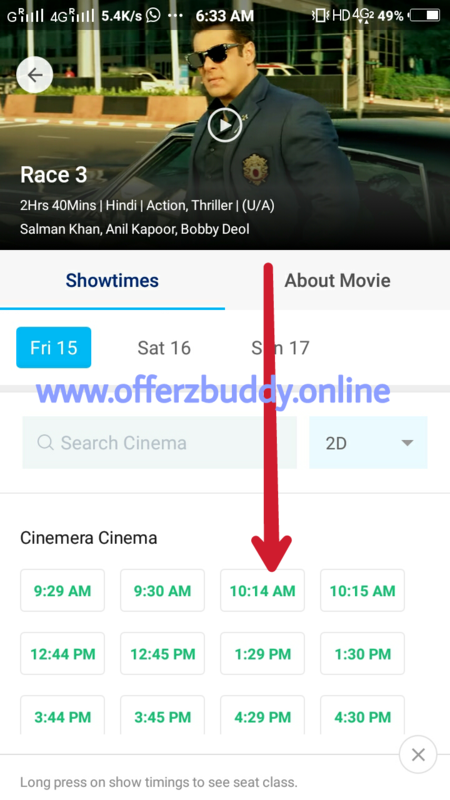 3- Now Select Time of Movie Show. 5- Click on Promocode ( Important to Get Cashback) and Apply This Promocode "GBONMOVIE"
7- Complete your Payment with Suitable Method. 8- After Payment Your Booking is Successful you will Tickets at Cinema Ticket Counter. 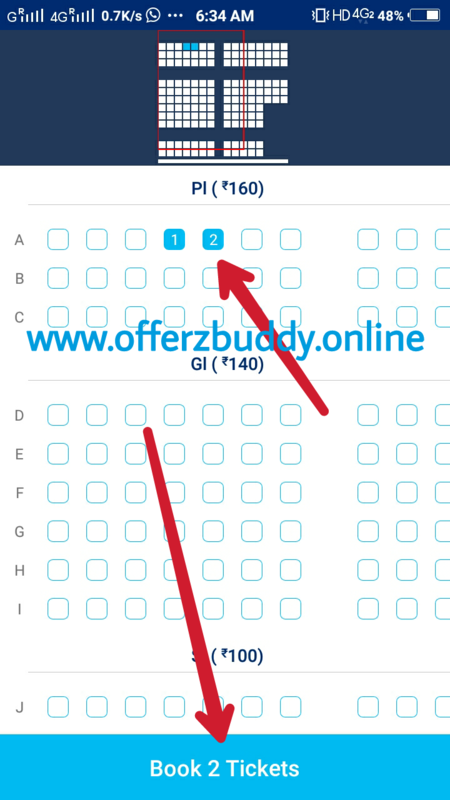 You will go there and show the sucessful message and Collect your Ticket.